Upright, dense foliage medium shrub 6-10' with rusty brown to orange brown flowers. 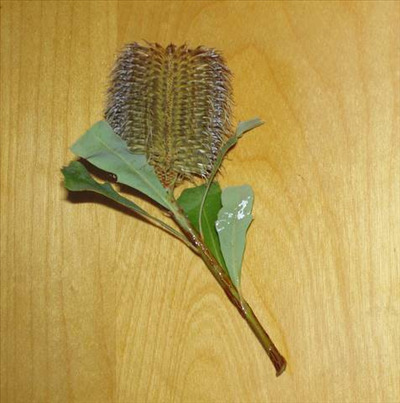 Very ornamental banksia. Prefers well-drained position in partial shade. Will tolerate temporary inundation and coastal exposure. Useful informal hedge or windbreak.